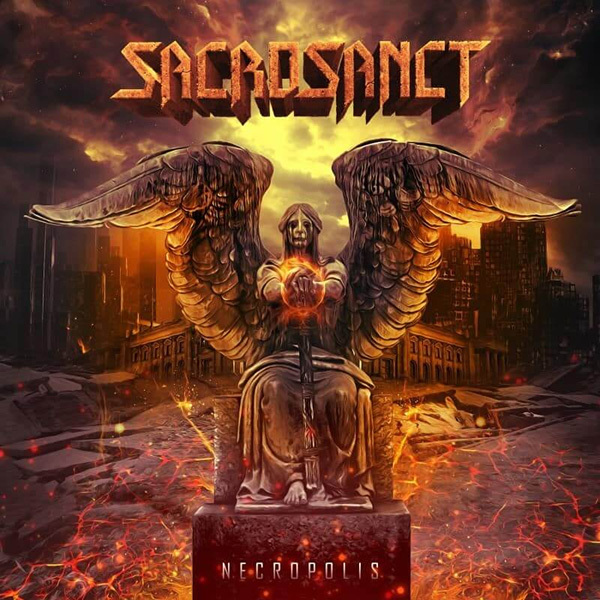 SACROSANCT, the German-Dutch progressive metal outfit founded by former Pestilence (NL) guitarist Randy Meinhard, have returned to the scene after a 25-year hiatus with a new album, “Necropolis”. “Necropolis” was engineered, mixed and mastered by Max Morton of Morton Studios, who has also remastered the entire SACROSANCT back catalogue. A prolific professional with a broad clientele, Max has worked with a wide variety of acts, including prominent Ukranian metalcore combo Jinjer. The objective with “Necropolis” was to record a classic, analogue-sounding album using modern technologies, and at the same time avoid any modern metal clichés.The epic cover art for “Necropolis” was designed by Giannis Nakos based on the bandΆs ideas, and perfectly portrays the albumΆs dark subject matter. It prominently features SACROSANCTΆs new mascot, the Weeping Angel – a guardian and an avenger of injustice. Stay Tragic!